By 2002 PDF has started establishing itself as a standard for exchanging files between designers, agencies, publishers and printing companies. Due to the versatile nature of the file format, there are many issues with its use as an exchange format. The industry answer is to define a series of additional requirements for PDF files that are meant for exchange. The PDF/X-3 standard is a prime example of this. Its first iteration is released in 2002. While the more restricted PDF/X-1 standard is used worldwide, PDF/X-3 will mainly gain popularity in Europe. That same year Creo acquires ScenicSoft, the Seattle-based developers of Preps which is the industry’s leading page imposition layout software with over 20000 licenses sold. Heidelberg’s announcement that ‘scanner development and production operations will be discontinued and its range of filmsetters will be limited to high-end units’ is not really a major news topic but it does clearly indicate that the industry is going through major changes. 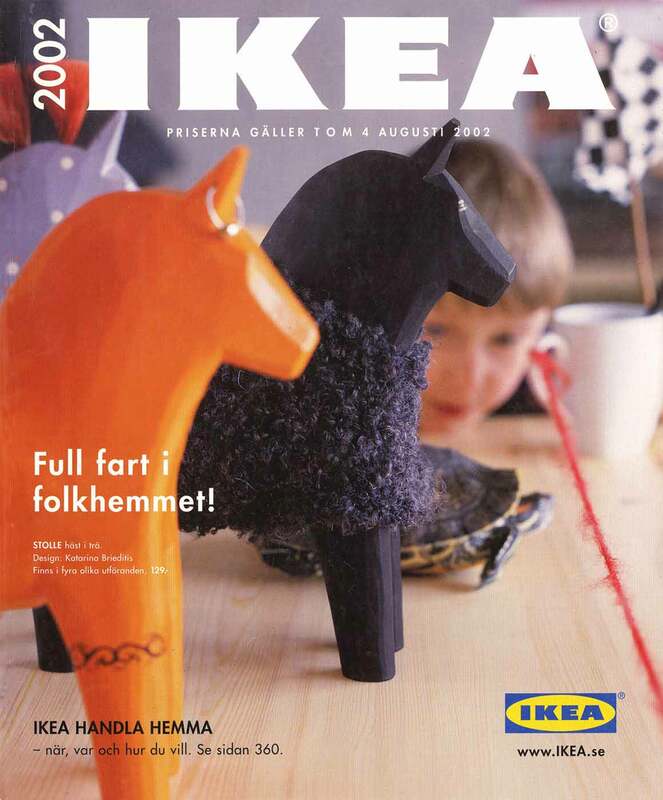 With 110 million copies in 34 different languages the 2002 Ikea catalog is likely the first edition that exceeds the yearly run length of the Bible. The catalog consumes about 70% of Ikea’s annual marketing budget. In the 2014 edition 75% of the product images are fully computer-generated. Barco Graphics and Purup Eskofot merge. The new company is called Esko-Graphics, later renamed Esko. True Red (Pantone 19-1664) is the color of the year. HP merges with Compaq. Google indexes the 2,000,000,000th web page. With Optima Nova Hermann Zapf and Japanese type designer Akira Kobayashiis create an expanded reworked version of Zapf’s classic Optima typeface. US troops launch a new assault against al-Qaeda and the Taliban in Afghanistan. The European Union announces that Cyprus, the Czech Republic, Estonia, Hungary, Latvia, Lithuania, Malta, Poland, Slovakia, and Slovenia will join the union in 2004. North Korea admits to developing nuclear arms. UN arms inspectors return to Iraq. A 7-million-year-old skull is discovered in Chad.